Apache Sprayers Australia supply the Apache range of high capacity agricultural mechanical drive sprayers. 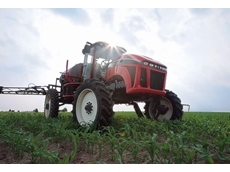 Apache Sprayers Australia provides self propelled sprayers for the agricultural sector. With more than 20 years experience in the spraying sector, the company supplies the Apache sprayer systems and a wide range of parts and accessories.